For overly cautious dead people. An “I’m still alive” alert system for coffins. From Retronaut, via Fresh Photons. 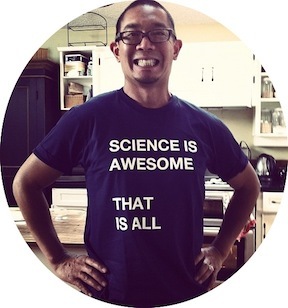 David Ng is a science literacy academic and Faculty member at the University of British Columbia. He writes here and there, including humour for McSweeney's, essays for the Walrus, and blog posts for Boingboing.net. He has a molecular genetics lab full of curios and is interested in various areas of science education, communication, and outreach - particularly those where the notions of science and art intersect. Popperfont is envisioned to be a place to share interesting, pretty things; to collect the odd thought: all categorized for use as transition pieces in talks, discussions, lectures, etc (i.e. they're striking, they're funny, they make good anecdotes). Also, this site doubles as an excuse to practice some good old science writing. It will be occasionally serious, but mostly it's all about this. Hopefully, a growing collection of (unconventional) essays on things you need to know to call yourself a sciencegeek (or something like that). An ongoing children’s novel that covertly centers around the “Scientific Method”: Also includes that ever popular plot device – secret synchrotrons disguised as massive whales. Not finished, but you can read what I’ve done so far here. I publish a little bit here and there. Mostly stuff that fits in the category of science humour. Writing posts can be seen under a writing category. My portfolio site proper is here.